Toys are critical to your parrot's physical and mental well-being. 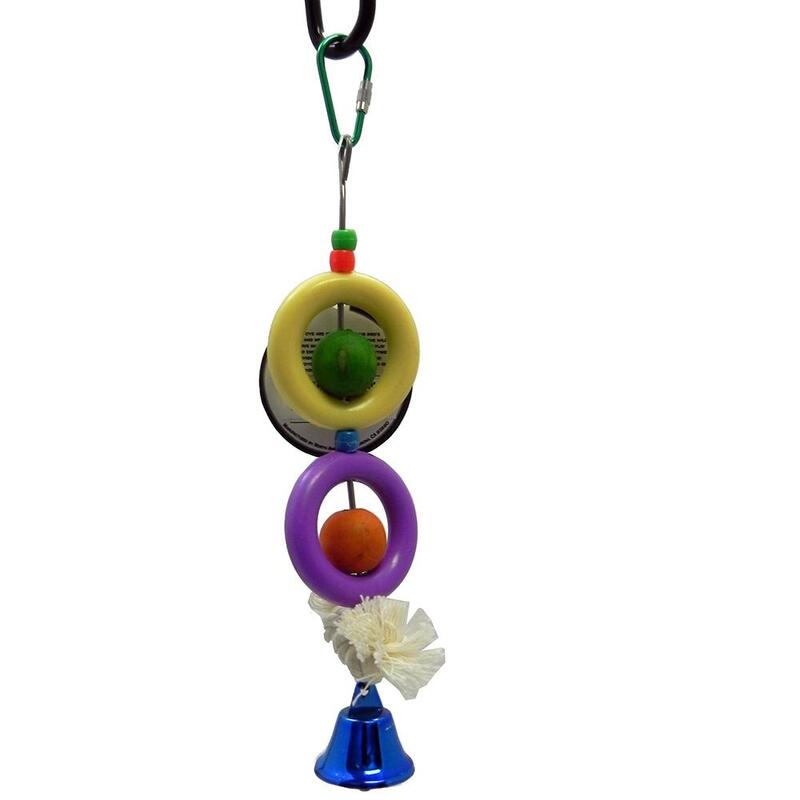 This Fun Rings with Bell bird toy will help alleviate boredom in your pet bird. A pair of plastic rings are strung on a metal wire with several wooden and plastic beads. A small cotton preening rope and bell hang off the bottom. Toy has a quick clamp for easy attachment. Overall size is approximately 8 inches long. These toys are hand made and no two are exactly alike so pieces may vary. Great size toy for Cockatiels, Conures, Meyers Parrots, Senegals, and other small parrots.